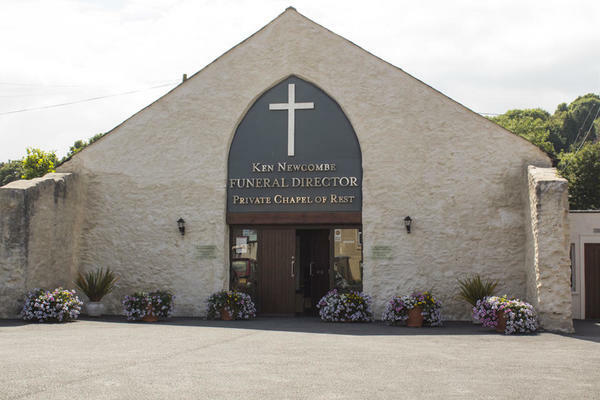 The name Ken Newcombe has long been associated with quality funeral care throughout Cornwall. Our funeral directors in St Blazey is here to provide comfort at a difficult time and ensure your loved one’s farewell is a fitting testament to their life. The loss of somebody special is an emotional and often bewildering experience. Uncertainty as to what to do next or what the future may bring can make everything feel like an uphill climb. That is why we are here. Our team of funeral directors will help to ease your concerns and worries, providing guidance and advice as we support you throughout the funeral process. From the moment you contact us to the day of the service and beyond, our first thought is for your wellbeing and you can rest assured that the care we provide to both you and your loved one will be of the highest standard. At Ken Newcombe Funeral Directors, our values are based on professionalism, dignity and respect. These qualities are evident in everything we do and mean we will always endeavour to arrange a funeral the way you want it. The name was established in 1983 and our distinctive funeral home in St Blazey is on the site of a converted Methodist Church Sunday School room. A plaque on the wall commemorates the fallen of both world wars. There is a chapel of rest on the premises, which allows you and your family to spend some time with your loved one in a comfortable and private environment. We can be found on the town’s Station Road (opposite St Blazey AFC’s football ground) and our location means we are accessible to surrounding towns and villages, including Fowey, Lostwithiel, Luxulyan, Penwithick and Tywardreath. Available 24 hours of the day, we will always be here when you need us. Call us when you are ready to talk, there will be a sympathetic ear waiting to listen. Call us today on 01726 210510 to talk through your personal requirements. At Ken Newcombe Funeral Directors, we understand how special life is with those that you love. For us, every funeral is unique and personal. We have a service to fulfil every wish, with every detail carried out with the same uncompromising quality of care. From a traditional service, to a colourful woodland burial, your options are limitless with our Full Service Funeral. If you have a little more flexibility when it comes to arrangements, then we can provide a Simple Funeral for a lower cost. Our staff are available 24 hours a day on 01726 210510 if you require our services outside of these hours.